Sounds like another one. Is Cole at superstar status yet? 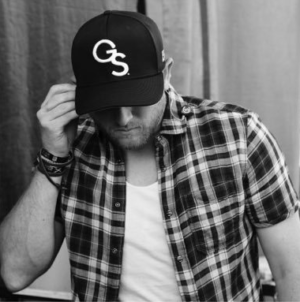 It’s been a really impressive run for Cole Swindell. Back in 2013, Chillin’ It broke onto the radio charts and reached the #2 spot at radio and #1 overall. A first hit single is no joke. Many artists work hard just for that one single. But after that it seems even more difficult to keep the momentum going. Cole has done that with six more hits in the last 3+ years or so. His last single is just about at the top and it sounds like he already has another queued up and ready to go. And it sounds like another winner. Cole has developed this cool sound. It’s progressive, but with his vocals he brings some old school style. It’s got a little urban feel to it with the sounds and the melodies. It works really well for him and he fits that groove with new songs each time out. This one also has some depth in the lyrics. I think it’s about a guy that’s getting a call from an ex. She’s out having a good time. She’s texting him and looking to maybe get together to cap off the night. The guy knows that he’s like to give in even though he knows it’s messing with his mind. He’s wishing that this time she would just stay downtown. In that way it’s kind of a sad song. This guy wants to move on. But then he doesn’t want to move on. It’s all messed up and he’s just looking for something different than what usually happens.